Probation Laws | Denver | Mastro, Barnes & Stazzone P.C. 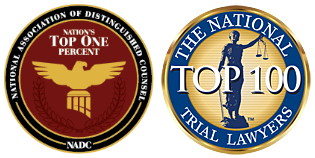 If you’re searching for a probation lawyer in Denver, CO, consider the professional team at Mastro, Barnes & Stazzone P.C. We have helped many clients navigate the process of petitioning for probation, and we will work with you to make sure all the related circumstances are reflected in your case. Probation is always a more favorable outcome than serving time in a correctional facility, and we try to arrange for it any time we are able. Contact us today to see if we can assist you. Our firm works with both adult and juvenile clients. Probation and parole may sound similar, but each describes a different set of circumstances. Although both rulings usually subject the person to supervision of some sort, there is an important distinction between the two terms. People on parole have served a portion of a jail or correctional facility sentence and are released with a particular set of conditions they must meet to remain free from incarceration. Those on parole must check in with a parole officer as part of their release agreement. The parole officer supervises their release and makes sure all the conditions of their parole are being met. People who are on probation agree to a set of established conditions to get out of serving time in a correctional facility. Generally speaking, the set of rules established must be met in order to remain free. People on probation meet with a probation officer as a condition of their release. Probation is considered in cases ranging from misdemeanors to felonies. Many crimes allow for the possibility of probation, but it is not always considered by a judge. Those with a Class 1 felony charge, those convicted of violent crimes, and those with two or more prior felonies are not usually eligible. The judge will consider past history, the nature of the crime, and many other factors before deciding if parole is on the table for a defendant. The decision of whether someone gets probation or serves time in a correctional facility is ultimately up to the court, and this is one of many reasons why having professional legal representation is important. An attorney can assist you with this process and make sure the court has everything needed to make an informed decision for your case. In the State of Colorado, the judge will receive a report about the defendant that will assist in determining what course of action will be taken. At Mastro, Barnes & Stazzone P.C., we understand the requirements and conditions for probation and present them to the court in an orderly fashion so everything can be properly considered. We can file all the necessary paperwork and make sure the agreement drawn up for you is clear and easy to understand. We work with clients all the time to arrange probation, and we know how the entire process works from start to finish. When probation is ordered, the person will be expected to live by a set of rules put forth by the court. These rules vary from person to person and are relevant to the circumstances of the case and typically include holding a job and paying court fees. Other conditions are specifically related to the crime the person has been accused of committing. For example, if the offense was drug related, the person may have to attend a rehabilitation program. If the crime is financial, they may have to pay fines over time as restitution. These conditions of probation are specific and will be clearly laid out by the court. In addition, while on probation, it’s understood the person will not break the law again in any way as a condition of the release. Here at Mastro, Barnes & Stazzone P.C., we take the time to go over specific probation conditions with clients and make sure they understand all of the particulars. If probation terms are violated, that information will be relayed to the court by the probation officer. If the court decides the person did breech the terms, they can be ordered to serve time in a correctional facility. In these cases, the probation will be revoked and a new sentence will take the place of the conditional release. While not all violations result in serving time, this is a very real possibility if probation instructions are not followed. At the end of a probationary period, you will need to prove all the conditions that were set up for you at the beginning have been met to the satisfaction of the court. Our attorneys at Mastro, Barnes, & Stazzone P.C. are able to present the proper documentation and are ready to handle all the related details for release from probation. In addition, there are times when clients are in a position where they may be able to bid for early release from probation. Our firm can handle this process for you, as well. Please contact us today to schedule a consultation with our legal team and an experienced lawyer in Denver, CO. Call to learn more about probation.